Added screenshots of the current release's version. The mod temporarily migrated to Australian [PAL] version of the game, because reasons. I decided to try to add Nissan Skyline without replacing HSV GTS. Also messed with ZDUSTY.VIV's contents, as I thought that all the remaining cars' data is placed here in their DAT files (spoler: it's not). Tried to replace MHRT VT Commodore - the Skyline appeared fully upgraded and the game refused to load the race one I chose to race with it. Then I tried to replace the leftover entry of Bonus Car 3 (BNS3). Looks like BNS3 loads (screwed up) BNS2's (Titan's) model instead of its own for some reason I'm not aware of. So, the cars' properties are written somewhere I didn't look at. Or looked at, but didn't understand anything. Now I officially need help with this. UPD: I suspect these properties to be written in game's FRONT.BIN; I'd really like someone to help me understand its contents. Any updates? Or are you still on a hiatus? I'm getting the same error message. I'm using an image called "Ace Combat 3 - Electrosphere (J) (v1.1) (Disc 1) [SLPS-02020].bin.ecm". I tried this file and the .cue file, also by changing the extension of the image to .bin or .ecm. Another NFS for PlayStation I've got my dirty hands into. 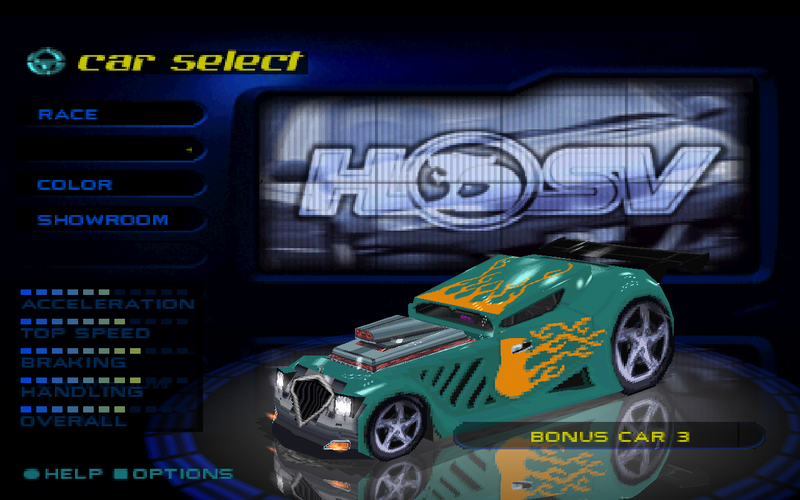 So, as I've discovered once, cars' .GEO files are 100% identical to those from the PC version, making it a potentially first NFS game for PSX to feature addon cars that aren't just texture swaps. The .QPS files' mystery has also been solved - a slightly edited FSHtool, which I named "PSHtool", flawlessly converts them to .PSH files, allowing their modification. But here comes the braking point: the only thing that keeps me from throwing in a first new car (Ford Mustang Mach III, to be specific) I've even prepared textures for is a lack of program that could build a .PSH file from ground up: Leo's PSH editor only allows replacing TIMs with the exactly same size, and PSicture is just a texture viewer with no import function. Other .TIM editors I know don't support PSH files. The only solution I see - replacing .BMP support of FSHtool with .TIM support - requires knowledge of programming languages, which I lack. Some files lack any counterparts (like Z%CAR%.QQS), probably thanks to different platform architecture; some are only slightly different (like, .MAP files only have different ends). Newcomer's Board / Re: [SMD/Genesis] Test Drive 2: how do I take a look inside the ROM? Sounds cool, especially considering that my coding skils are almost null, hehe. I remember opening the ROM with Tile Molester - all I've got was pixelar garbage. Newcomer's Board / [SMD/Genesis] Test Drive 2: how do I take a look inside the ROM? Recently I've been struck with the idea of hacking Test Drive 2 for Mega Drive/Genesis with the purpose to add more variety to the game (3 cars, 3 scenarios and 3 short music tracks get boring fast IMO). However, I never dealt with ROM-based games, so I have no idea what to do. For now I'd like to see the game's structure, to see if I can actually add anything (like in those fancy Dune 2 hacks with six houses to choose from) or I'm limited to texture editing. Honestly, I think there's nothing inside the SPB file aside of videos and music. Back then in 90s, they took the most of games' space; thus, unpacking of SPB can be delayed until we can start dubbing the cutscenes. I can't say for sure what is in the SPB but thanks to jPSXdec I actually saw a lot of videos outside of both the BPB and SPB and even a few select TIM files. Just checked the game with the latest jPSXdec (as they claim on their site, it's the freshiest version), haven't found anything outside the SPB except the textures. Same for export versions. That's great. That's gonna make the translation much easier. Here, only PAL version was translated "properly" (y'know, you don't expect a good translation of PS1 game if you live in Russian - there, the job's done by pirates, for whom quality doesn't matter); the only Japanese version translated to Russian lacked 2nd disc (sic! ), making the game playable only by half. I'd also like to know if there's any way to expand the range of letters from 26 (English alphabet) to 33 (Russian alphabet) - I may do the Russian translation once the main translation's over. Still, I think you'll have to unpack the SPB, as I failed to copy the file from the disc due to "incorrect MS-DOS function" - a sure sign that video files are in there. You're going to translate the videos sooner or later, right? I'd also say that SPB only contains videos, but then why the hell the export versions' SPBs are as large as Japanese's?.. Also, I'd like to know if a properly functioning ULZ unpacker is done - I think the planes' models may be in BPB as well, but thrown off by you as "not textures, thus irrelevant". I've got esperknight's cs files, but one unpacker only unpacks ULZs since folder 0112 (which is a bit away from the target 0080 folder), the other one crashes. Can you make tha screenshot of PAL version again, without blur? I don't really like how these two textures turned out (being a perfectionist is PITA) and, besides that, 1039 seems to be somehow damaged - the text wasn't supposed to look like that, so I'd like to try again. P.S. : Wish me luck on TNFS and TD2 researching - that's what I'm actually doing right now, but not announcing due to null actual progress. Next time you make me a screenshot, please, turn off the blur. I've found a less blurry screenshot, so don't worry. Just as I expected, those textures are twice narrower than they are displayed in the game. Now I only have to cut the US circle in same pieces and save them as TIMs. Also, disregard what I said regarding alpha channel in my previous post - white/cream white areas, after a closer look at the screenshot, turned out to be 100% opaque, and the only transparent color in the palette turned out to be the #000000 (the black border on the screenshot is separate from the circle textures). Eyyy, those are only Japanese version's stats' textures. Nevermind that though, I'll do my best. Thanks for paying attention to my work. I have to warn you though that you shouldn't expect any updates anytime soon - as I said, the project's freezed and at the moment I'd like to see what I can do with TNFS for PSX and Test Drive 2 for SMD... once I'm done with those, I'm resuming my work on this project.